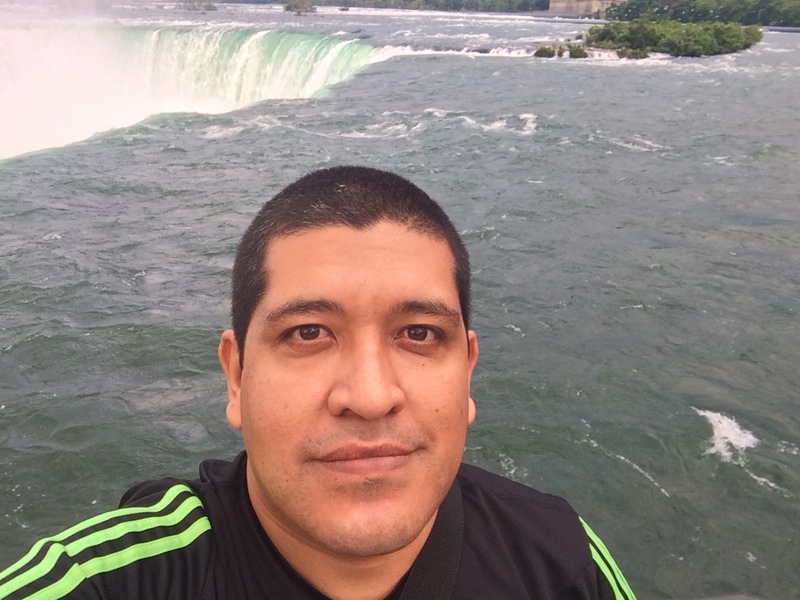 For business purposes, I traveled to Canada about 8 times in 3 of them taking advantage of the weekend trip to Niagara Falls in the year 2011 on 2 occasions and another time in 2014. The first time we traveled coincided with Canada Day therefore the surroundings were full; the number of nationalities that I could see was amazing, most of which from the Middle East and Asia. After taking the tour of Maid of the Mist where we boarded a barge to feel the breeze from both Niagara US side and Canadian side (to my mind the best by far). Then we continued through a series of tunnels that led us into the bowels of the Niagara Falls themselves, the feeling was impressive; being part of the power of nature showed in these falls. At lunchtime, I witnessed the best fireworks show I have ever seen in my life, either for their duration as well as their quality. Coming back to the city of Guelph, where we stayed, was a big deal, since as I wrote on a previous paragraph, it was a holiday so the return took over 3 hours (normally the trip takes half that time). On a second visit, I accompanied a few new fellow entrants and as I had just seen the falls over a month before, I just started exploring their center and saw the wax museum, Ripley´s, among others. After a while we got hungry and went to enjoy a great steak at the restaurant The Keg Steakhouse & Bar; a real delicacy. For the third time this year, I was more relaxed than ever, we did not go as planned unlike the other two occasions we went on a Friday instead of a Sunday; this time a fellow from the design team joined us. In order to get convinced, the partner in question paid us dinner at the Hard Rock Cafe; which was a great time of comradeship between the food and drinks. This was my brief account of the opportunities I had to get to know this wonder of nature in the Canadian territory.